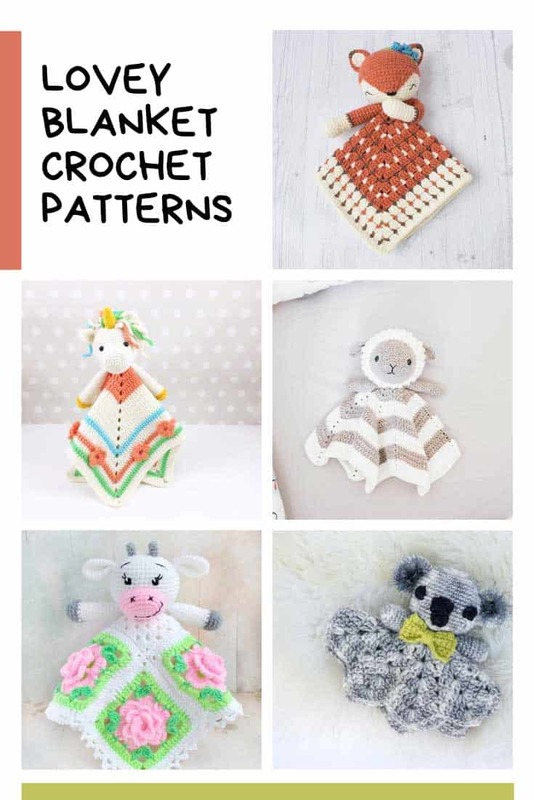 Since we shared out collection of crochet baby toys we’ve had so many requests for some more lovey crochet patterns. So that is exactly what we have for you today. 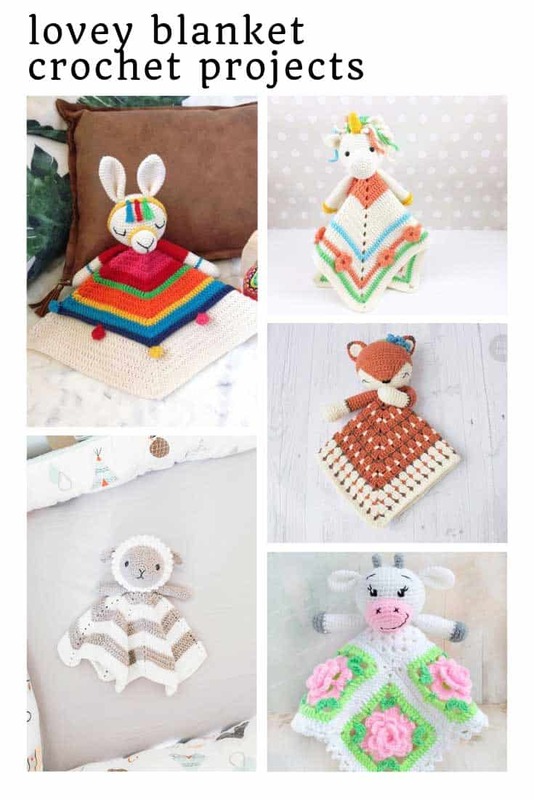 Adorable security blankets to help your baby cozy up and hopefully fall asleep! 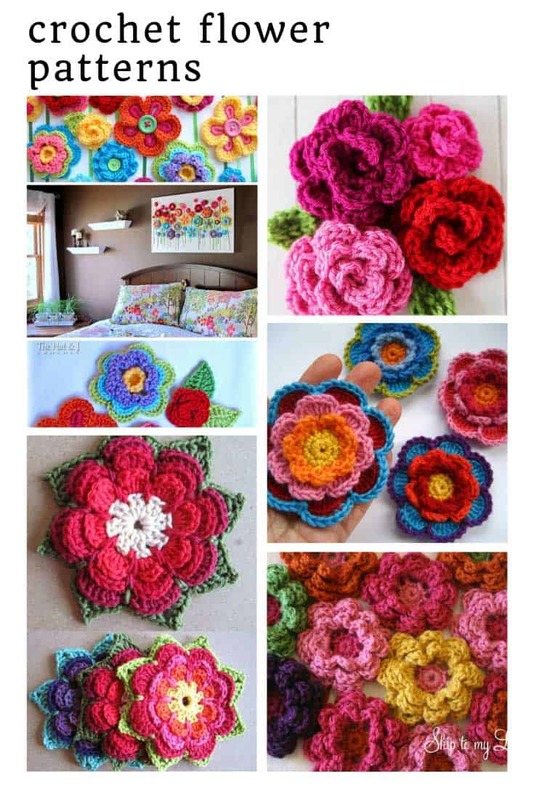 Once other moms see how sweet they are they’ll be asking you to make one for their babies too! 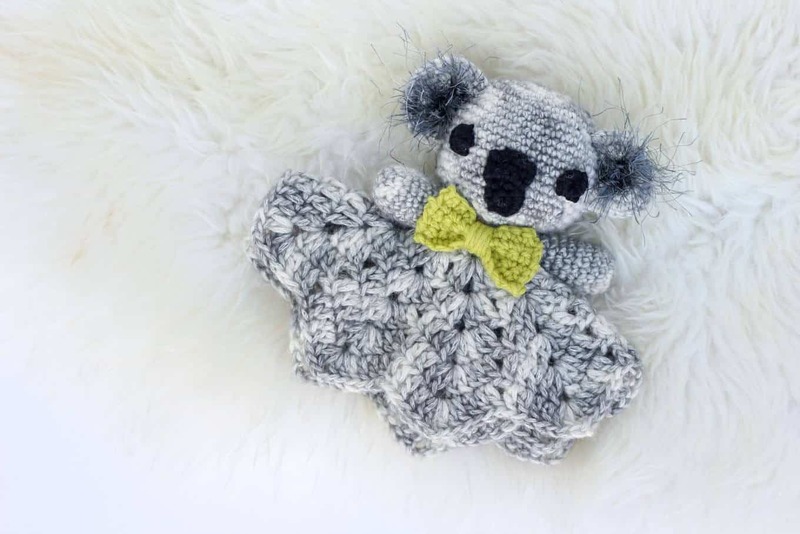 Let’s start with this ADORABLE little koala who looks super super soft and cuddly! 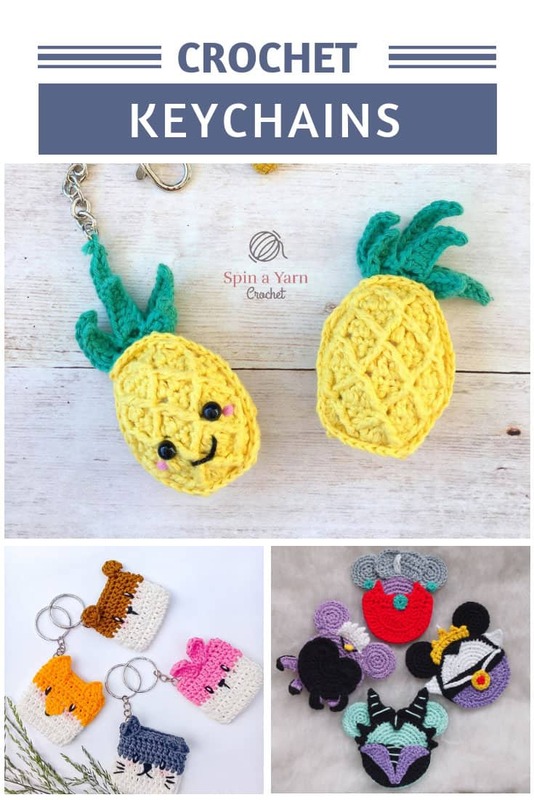 He works up really quickly using just one skein and some scrap yarn so he’s the perfect choice for a handmade baby shower gift. 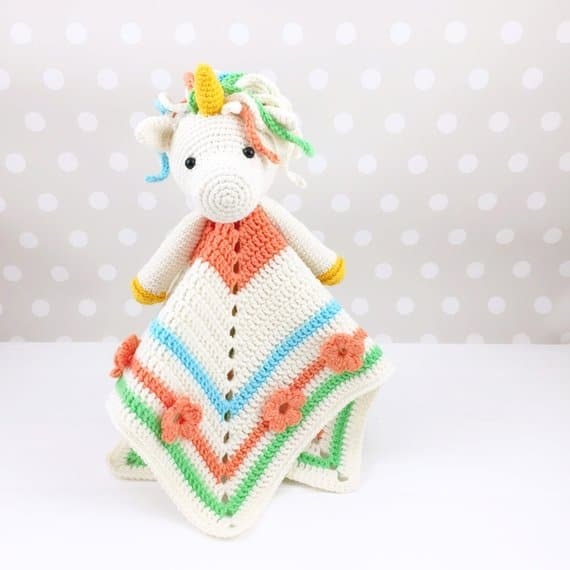 I know how much y’all love having a unicorn project on your list so how about this super sweet little security blanket? I LOVE her mane and those little flowers around the edge of the blanket. 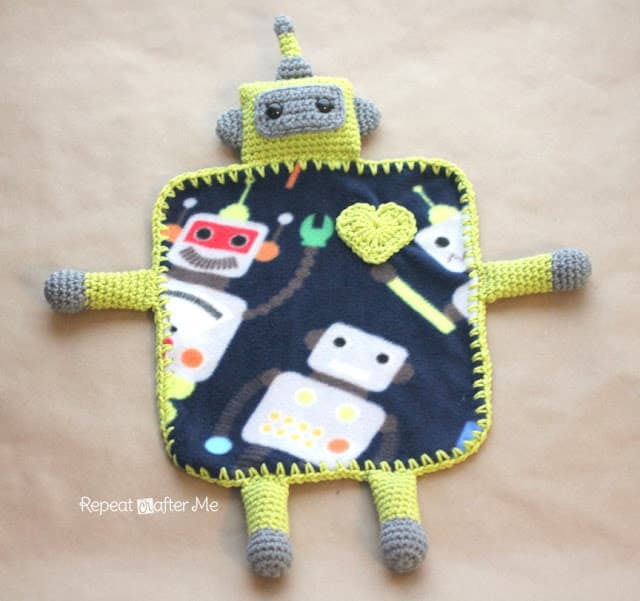 If you’re looking for something a little boy will love snuggling with try this robot lovey blanket. 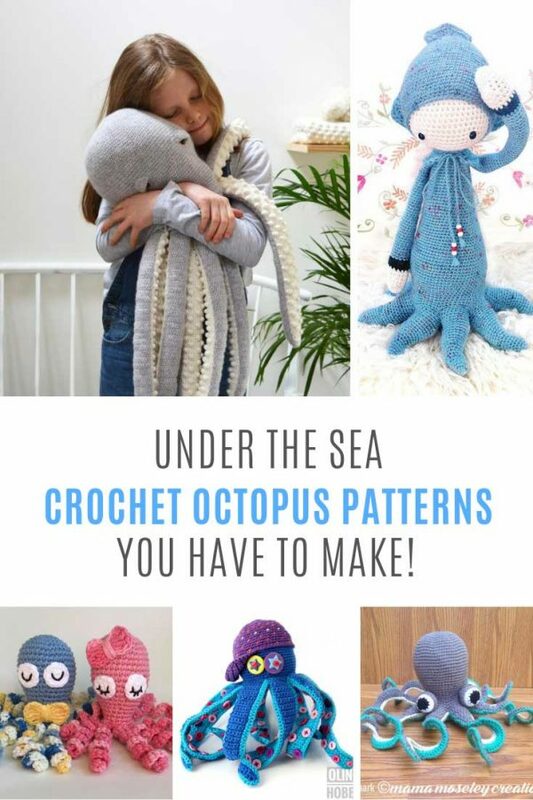 It’s a bit different from the others because it includes a square of super soft fabric. 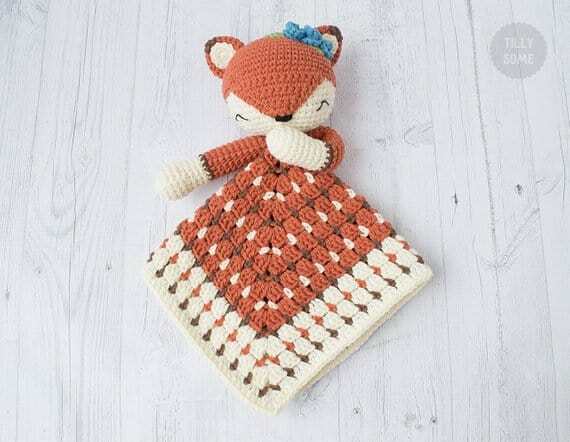 Oh my goodness how sweet is this little sleepy fox! 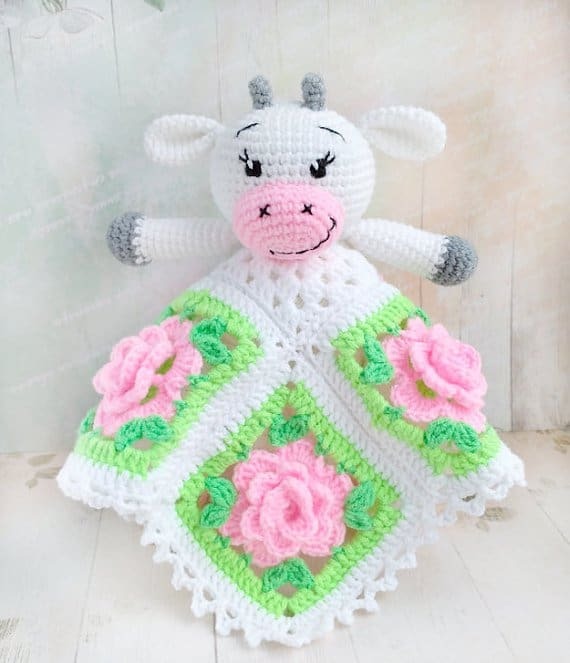 I love the little flower hairband she’s wearing, and the pattern on the blanket is wonderful! 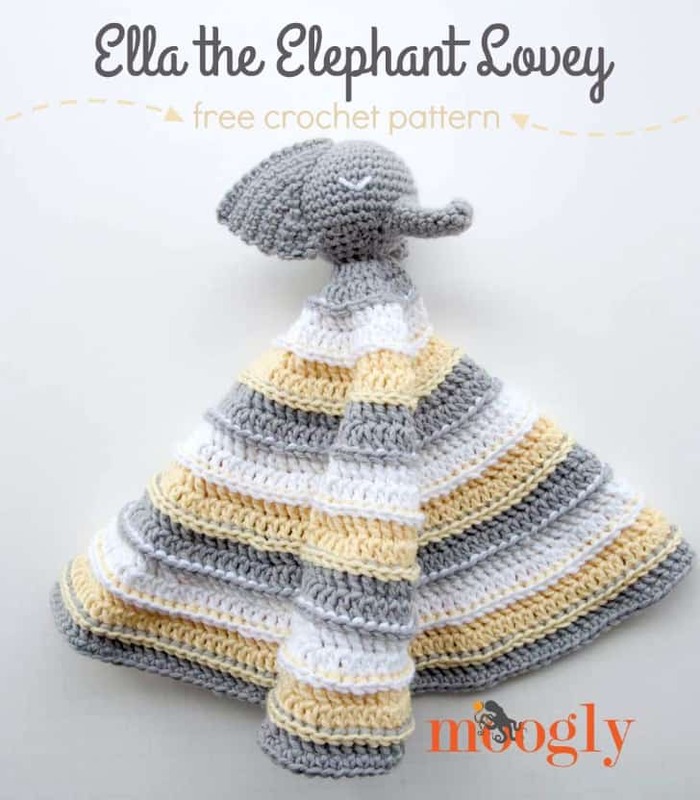 If you have an elephant theme in your nursery you have to work up this sweet little elephant in her never ending striped circle blanket skirt! 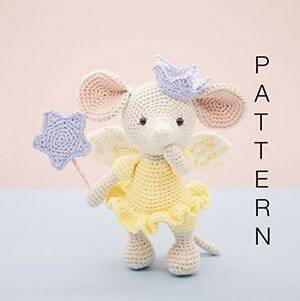 My little boy is crazy for lions so when I saw this pattern I just had to add it to the list! 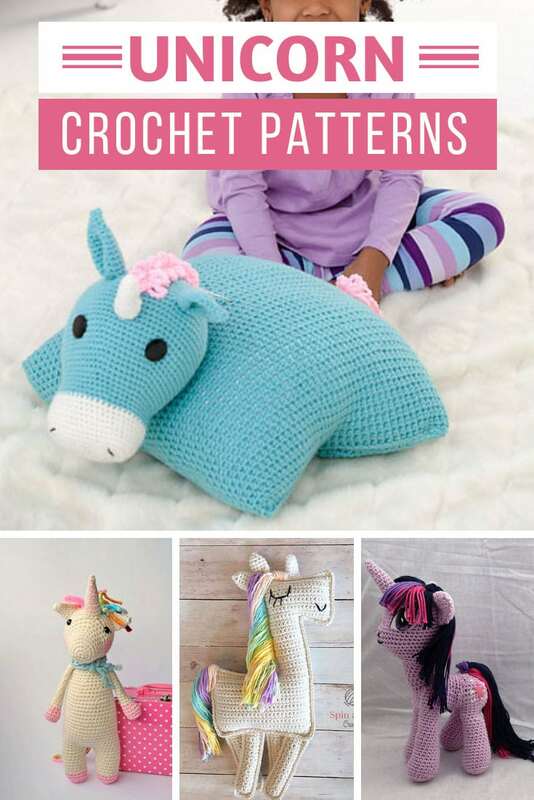 I love how just switching up the colors of the blanket and the mane can totally transform the pattern! 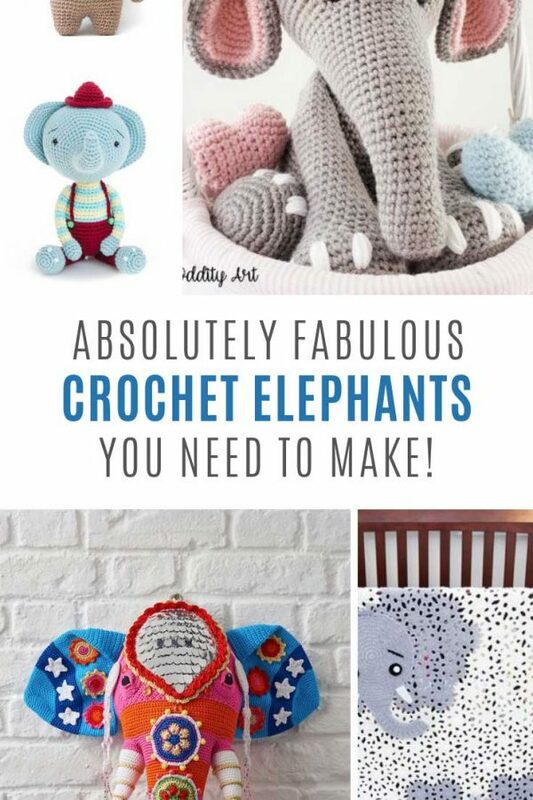 I know it’s another elephant, but it’s so different from the other pattern, and so CUTE I decided to share this one too! 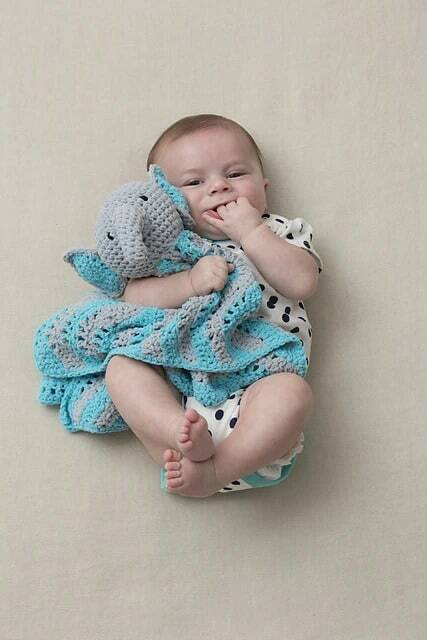 It’s a free pattern from Red Heart and the plush little elephant is attached to a wave stitch blanket. 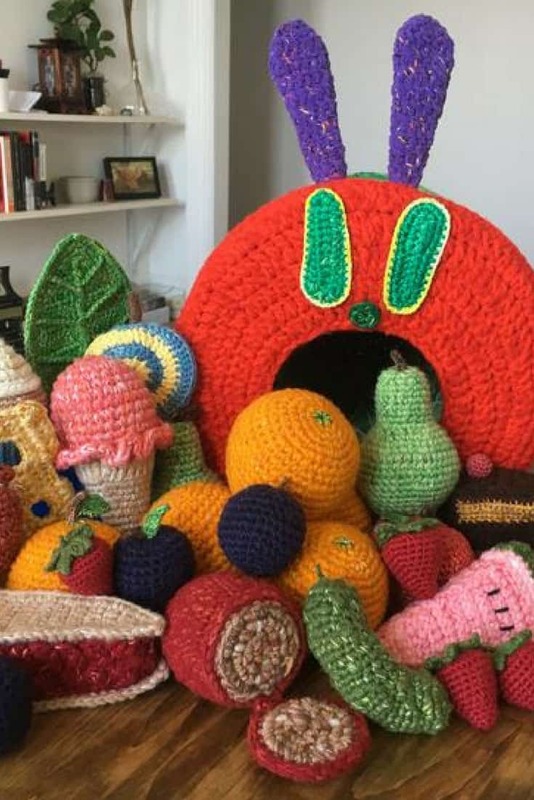 It seems that everyone is crazy about llamas right now (perhaps even more than unicorns!) 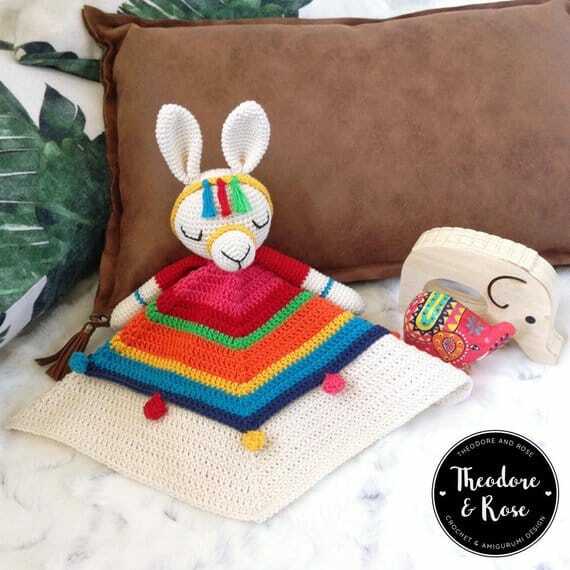 so I couldn’t pass by this fabulous llama security blanket. 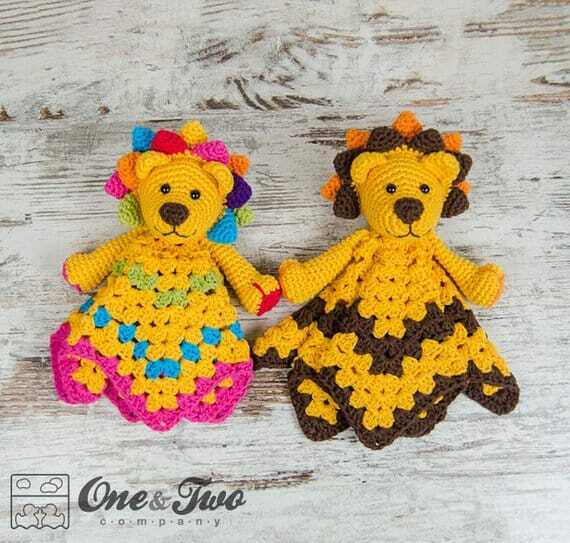 I love the Mexican theme right down to those cute little pompoms! 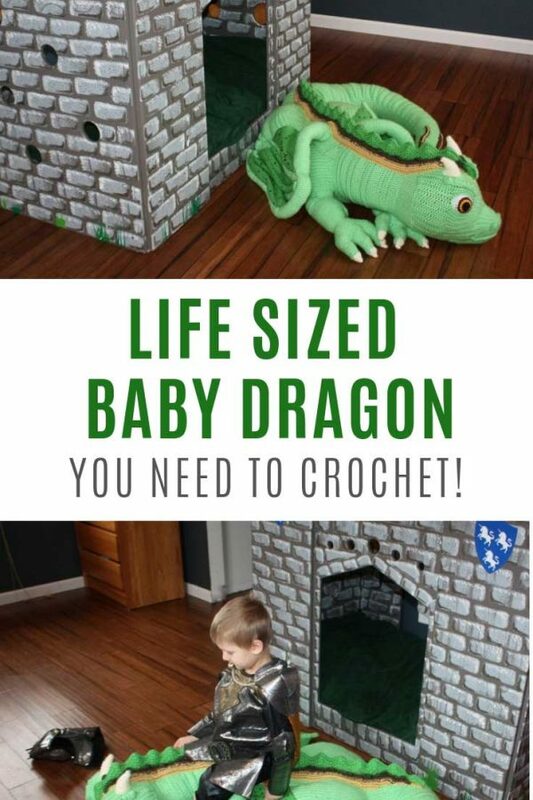 Just make sure they are attached super tight so they don’t fall off! You know it’s not just babies that appreciate a lovey to snuggle with. 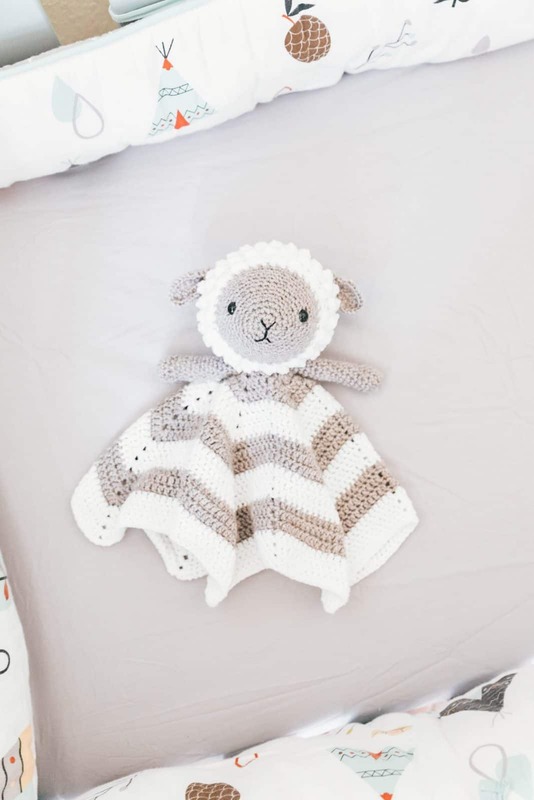 This adorable little lamb is a bit oversized (he measures 15 inches from the top of his head to the end of the blanket) making him the perfect gift for a toddler. How did we get all the way to number 11 without a teddy bear in sight? 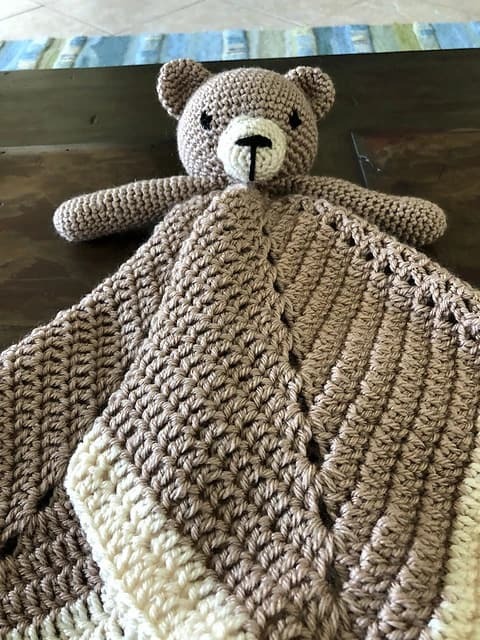 Time to fix that right now with this super cute little bear comforter! 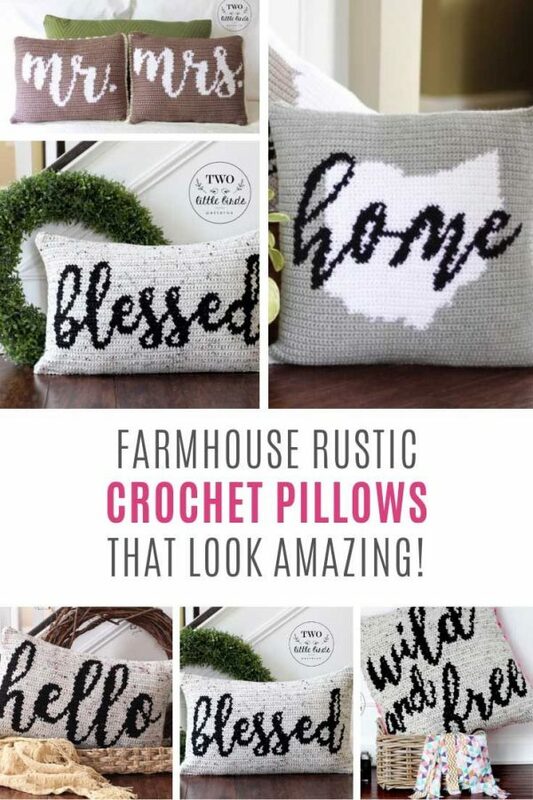 This one is a free download over at Ravelry. 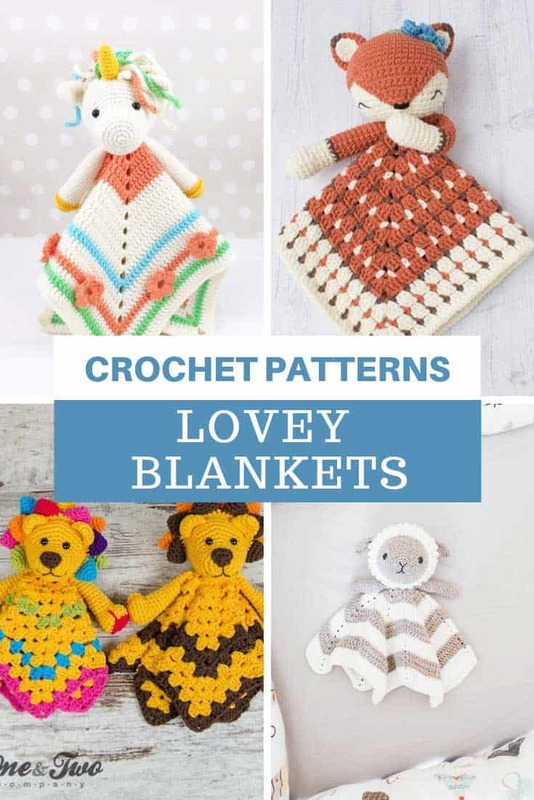 And finally I thought I’d include an easy to follow tutorial from Bella Coco just in case you’ve never made a lovey blanket before and you prefer to watch your crochet tutorials rather than reading them.